By Gwen Aviles – NBCNews.com – Photo: Museum Environments / Branded Environments. Photo: Rotating exhibitions will feature multimedia activities, objects and first-person narratives. 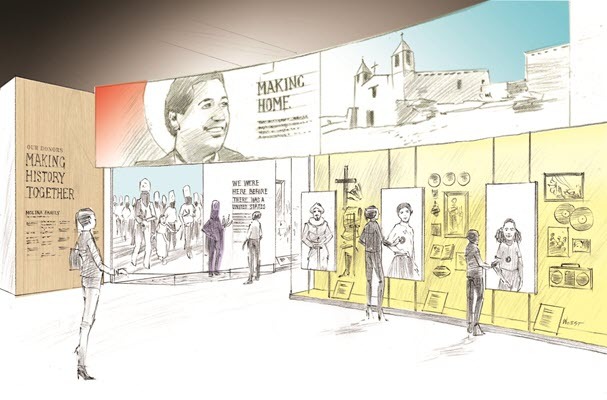 In a first for the country, a permanent gallery dedicated to the Latino experience will open in the Smithsonian National Museum of American history, Smithsonian officials announced Thursday. The Molina Family Gallery will open in 2021, thanks to a $10 million gift from the California family whose name the gallery will carry.